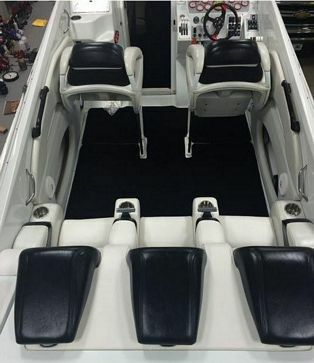 This 2001/2016 totally refitted 40’ Baja Outlaw was taken on as a winter project in 2016. This is truly one of a kind. 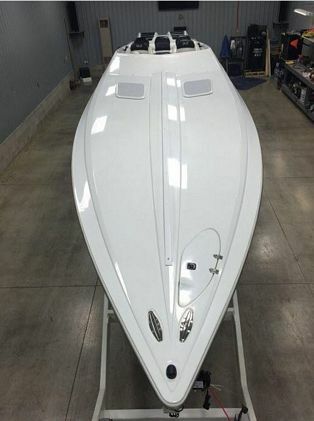 Boat was fully refitted from top to bottom, with no expense spared. 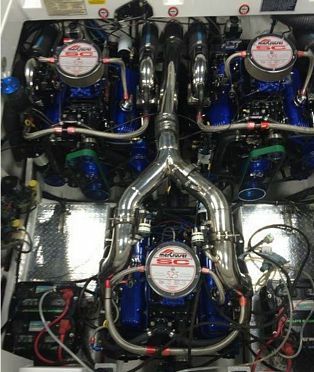 Boat is powered with New Triple Mercury 525SC Marine engines. 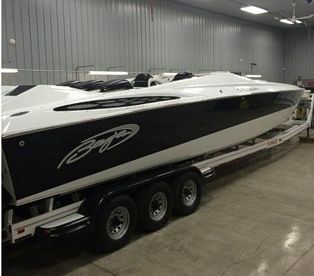 Only 4 hrs water testing time, and runs an amazing 85mph with comfort and reliability with plenty of performance. 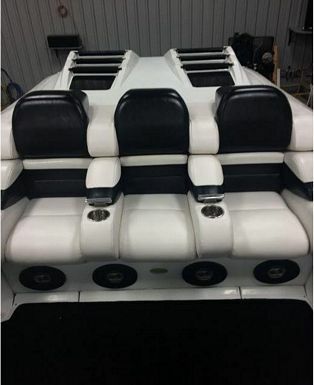 Brand new Mercury Bravo 4 blade Propellers, Livorsi marine gauges and throttles, Full Latham Hydraulic race steering system, Carbon Fibre ventilated race fairing engine hatch, McLeod power boltser seats, new race style interior for rear bench seating. New snap in removable cockpit carpet, Brand new Sunbrella Cockpit cover. 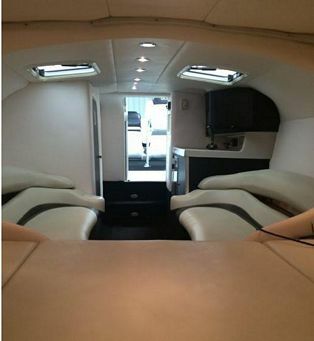 Extremely large elegant style cabin, sleeping 4 people, two large opposing benches with V Birth bed, lots of storage compartments. 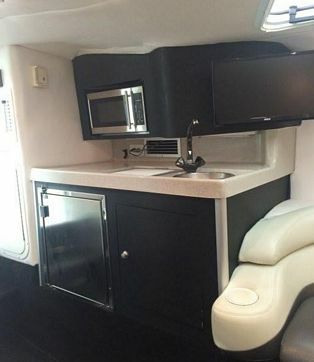 Cabin upgraded with new stainless steel fridge, microwave and Flat screen TV. 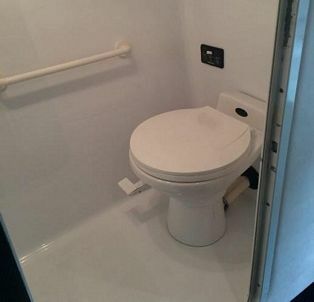 Large enclosed Bathroom with head, AC/DC Shore power with charging system. 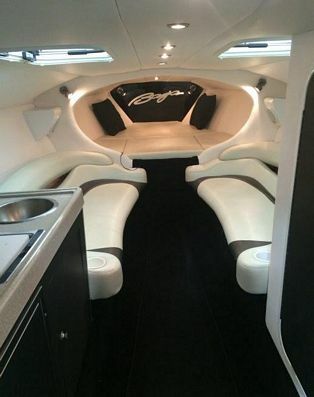 Upgraded Custom stereo system with large amps and Subwoofer speaker system. 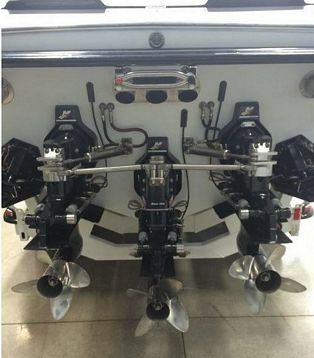 Boat sits on Heavy duty Eagle Triple axle, trailer, designed for Fifth wheel hook up equipped with new electric winch. 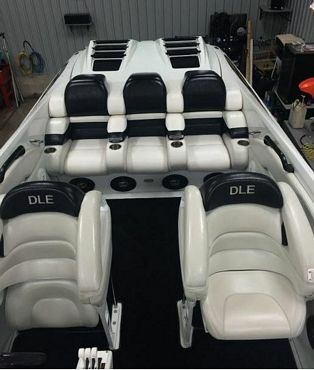 With the amount of upgrades that has been performed and money invested, this boat stands out from all the rest at a great price. 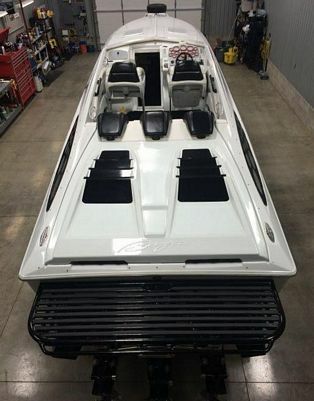 In showroom condition from top to bottom. 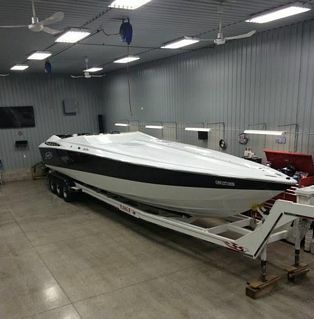 Please call Robert at 613-634-3618.